If you ask me I am pretty darn lucky. I was fortunate enough to grow up in the 80s so that means that I grew up with the best music (hair bands forever! ), the best cartoons, the best toys, and of course, the best movies. Especially horror movies. In my humble opinion the 80s were the golden age for horror films and the best of the best came out of this awesome decade. The 80’s saw a rise in popularity of the slasher film and it was during this period that horror icons such as Jason, Freddy, and Chucky were born (just to name a few). 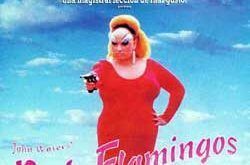 There was a ton of horror films released every year during the 80’s and I thought that it might be interesting if we looked at which movie was the best from each of these years. Probably no big surprise here to anyone, right? 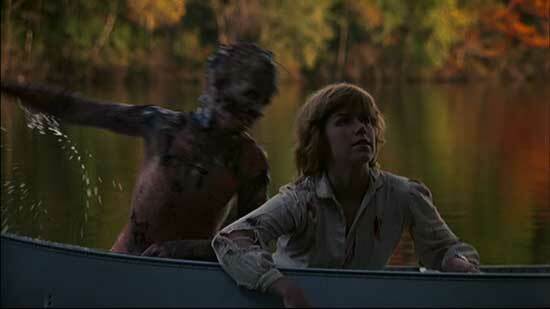 Friday the 13th is a classic horror film in every possible way and is one of the biggest slasher flicks of all time. It could even be said that it is the main reason that the slasher flick was so popular during the 80’s as it obviously influenced a lot of filmmakers and as such a slew of similar movies soon followed upon its initial release. Even though we don’t actually see him until briefly at the end, this is the first time audiences met Jason Voorhees and I can say that it was love at first sight for horror fans around the world (I know it was for me, at least). This is the film that started it all and after ten sequels (I’m counting Freddy vs Jason as a sequel), a (crappy) remake, comic books, video games, action figures, and many, many other items it helped make Jason a household name and cemented him as one of the most legendary and beloved horror movie antagonists of all time. I’ve always loved this movie personally and even though Jason’s mother is actually the demented killer in it I still think that it rocks and has without a doubt stood the test of time. Not only is Friday the 13th one of the most important horror films of all time, but it is also one of the most entertaining and deserves to be recognized as the best horror film from 1980. 1981 was one of the best years ever for horror movies so it was a bit difficult for me to pick just one film as the best from that year. We had huge ones such as The Evil Dead, My Bloody Valentine, Happy Birthday to Me, The Prowler, Ghost Story, and An American Werewolf in London (just to name a handful) to pick from so it was really hard for me to decide but after a lot of thought I went with The Howling. I love this movie and credit it for making me fall in love with werewolves at a very young age. I first saw it on satellite TV (one of those huge ones from back in the day, remember those?) one night when I was nine and it terrified me. I remember after watching it my dad made me go out behind the garage to get some firewood for our wood stove and I was scared to death that I was going to be mauled to death by a werewolf before I got back inside. I think that this movie is genuinely creepy, has some awesome subtle humor, a great cast, and is just entertaining as hell. I also think that it has the best werewolf transformation scene of all time (sorry, An American Werewolf in London, but this is how I feel) at one point and seeing the always cool Robert Picardo slowly change into a werewolf in front of Dee Wallace scared me half to death that night when I first witnessed it and I had so many nightmares that night (and for weeks to follow) because of it. 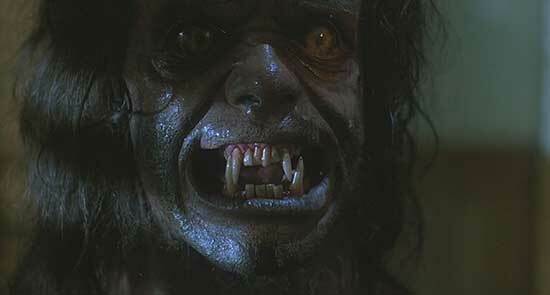 I am a huge werewolf fan (mainly because of this movie) and can honestly say that it is the greatest werewolf movie of all time, which earns it the crown of the best horror movie of 1981 even though it had many, many tough contenders. 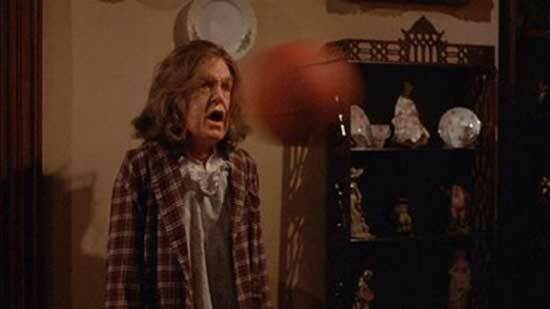 1982 was an awesome year for horror with the likes of Friday the 13th Part 3, Halloween III: Season of the Witch, and The Thing all hitting theaters during this period, but for me the one that really stood out was Creepshow. I’ve always been a sucker for horror anthologies and Creepshow is without a doubt my favorite one. There is so much to like about it and it has a little something for everyone. I don’t think that there is a single bad segment to be found here and no matter how many times I have watched this film (which is more times than I could ever count) it never gets old. 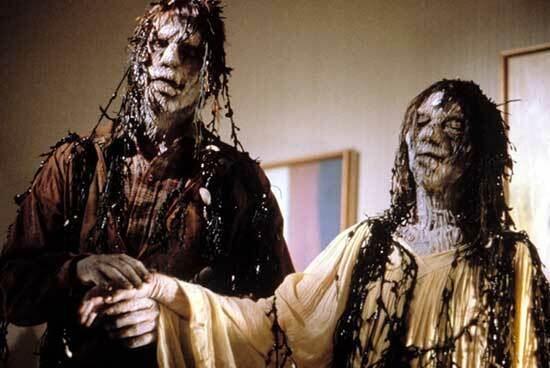 It’s hard to top the combination of George Romero and Stephen King, and boy, do they certainly deliver with this movie. I didn’t get to see it until it was on cable a couple of years later, but I absolutely loved every minute of it when I finally got to see it (Little know fact: I watched the world premiere of Michael Jackson’s “Thriller” video earlier that night and was totally traumatized by it. Seriously. It scared the hell out of me. To make me feel better my parents let me watch Creepshow afterward and before I knew it I had forgotten all about Michael’s creepy yellow eyes and the fact that he had turned into a horrifying werecat thing that freaked out my little nine-year-old mind more than I could have ever possibly imagined). My personal favorite segment has to be “The Crate” (with “Father’s Day” being a close second) and to this day I still think the thing that emerged from the crate is one of the scariest monsters to ever grace a movie screen. This movie is awesome and there aren’t a whole lot of other horror anthology films that come close to being as great as it is. Sleepaway Camp is hands down my favorite movie of all time, period. I didn’t see it until 1987 when I was finally able to check it out on VHS (after months of trying as it was always rented out at the local convenience store that my family often rented movies from when I was a kid) and I was totally blown away by it. It has some of the coolest, most creative death scenes in it (the thing with the bee nest always freaks me out) and one of the greatest twist endings of all time that still shocks the hell out of people to this day. A lot of people have argued that it is a Friday the 13th clone, but I must disagree as there is more to it than that. There is just something special about it that I can’t quite put my finger on that makes it so great, but I love it as much now as I did when I first saw it way back when I was in the 7th grade. I was lucky enough to meet Felissa Rose and Jonathan Tiersten (who play Angela and Ricky in the film) and can say that they are both class acts that are just the coolest, most genuine people that I have ever met which only adds to my enjoyment of the film in general. I dig the sequels as well, but if you ask me it is hard to top the original and I think that it is without a doubt a true horror classic that has finally gotten the love and respect that it has always deserved. It has a hell of a following now among horror fans and I couldn’t be happier as a result. If you haven’t seen it do yourself a huge favor and go check it out as soon as possible so you can see why it deserves the top spot for 1983. I remember seeing the trailer for A Nightmare on Elm Street on TV when I was in the 4th grade and the next day at school all my classmates were buzzing about it. 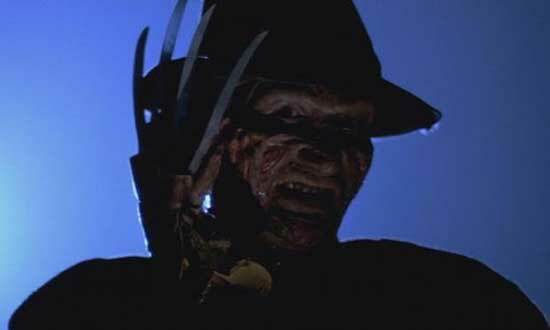 Much like Friday the 13th, A Nightmare on Elm Street is one of the most important and influential horror films of all time and is just as popular now as it was when it first hit the scene back in 1984. I was obsessed with Freddy for most of my preteen years until I decided that I liked Jason better, and I think that he is at his best in this film. He is actually pretty damn scary in this one as he is a lot less comedic than he is in the later movies and I know that he terrorized a generation of moviegoers as a result. I always thought that this film was ahead of its time and is without a doubt one of the greatest horror flicks of all time. While I enjoy most of the other films in the series that followed it is hard to top the original and as such I think that it deserves the honor of being called the best horror film of 1984. I know I’ve told this story before so forgive me if you’ve already heard it. When I was about 11 there was a little boy that lived down the street from us that was a couple of years younger than me. He watched Demons one night and was literally traumatized by it to the point that he couldn’t eat, sleep, or go to the bathroom by himself. It bothered him so badly that his mom ended up having to take him to see a doctor over it. After I heard about this I had to see this movie. While it didn’t freak me out as much as it did him it still creeped me out and became one of my favorite horror movies of all time. It is genuinely scary, has some awesome effects, and has such a bleak ending that stays with you long after the end credits have started to roll (speaking of which, stay tuned after the credits as there is a really cool scene that follows that I didn’t know about for 15 years or so). In addition to being scary as hell it is just a fun movie in general and is one of those that I have watched repeatedly over the years. I think that it has aged quite nicely and to be honest it still creeps me out a bit to this very day. 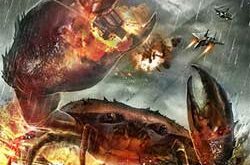 The sequel is awesome too, but I think that this is the better film for several reasons. Check it out if you haven’t seen it, just keep in mind that you may have second thoughts about ever going to see a movie in a theater ever again after you watch it (I know it was on my mind a few weeks after I saw it and my parents took me to see Nightmare on Elm Street 3 at our local movie theater back in the day). I know, I know, a lot of you out there are thinking “What the hell is he talking about? Deadly Friend?!? He picked that over other movies that came out the same year such as Aliens, The Fly, Truth or Dare? : A Critical Madness, and Friday the 13th Part 6? Is he out of his mind?” but let me explain. I love this movie and to be honest it is my second favorite movie of all time right after Sleepaway Camp. I have a problem with robots, so it creeped me out when I first saw it (what? Stop laughing. I really am terrified of robots) plus I thought that it was incredibly depressing because it is a twisted love story as well. I know that almost everyone hates it (even Wes Craven hated it and he directed it!) but there is just something about it that always spoke to me for some reason that I can’t quite put my finger on. There is just something about it that is unsettling, and I’ll admit that it scared the hell out of me when I first saw it when I was a kid (Hell, it still scares the hell out of me to this day). I know that it isn’t as popular as a lot of other horror films that came out that year, but if you give it a chance and ignore all the negative reviews and comments for it out there I think that you will like it as much as I do as it isn’t nearly as bad as some people make it out to be (you should also check out the novel that it is based on too while you’re at it as it is equally creepy…maybe even a little bit more in some ways). Much like my selection for 1981 I had a lot of trouble picking the best horror film from 1987 as well as there were a lot of great ones released this year. I almost went with The Lost Boys initially then I changed by mind and almost picked Hellraiser. Then I got thinking about it again and came close to selecting Hello Mary Lou: Prom Night II (Hey, I think it’s an underrated classic) instead but in the end, I decided that Evil Dead II deserved the spot since I didn’t go with the first movie for my pick for 1981 and this movie is just as good. 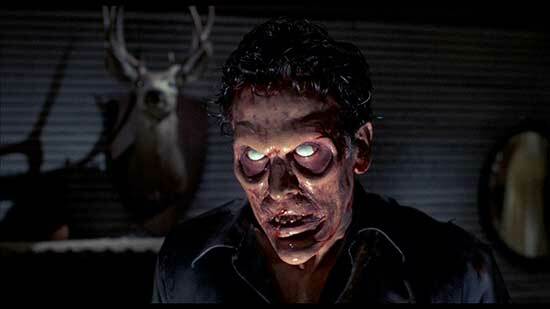 I always thought that Evil Dead II was just a load of fun and Bruce Campbell totally delivers here (maybe even a little more than he did in the original film). It’s creepy, entertaining, funny, and just a good time in general. I wasn’t lucky enough to see it in theaters when it was released but I did see it on VHS as soon as it came out on video and I loved every minute of it (I watched it for the first time with my parents and they dug it as well). Some people may argue that it is better than the first film and while I’m on the fence with that and not sure if I agree (I love the original) I will say that this one holds a special place in my heart as well and is one of those movies that never gets old no matter how many times you watch it. Speaking of which, it’s been a while and I think I am going to go watch it again tonight after I finish writing this article. 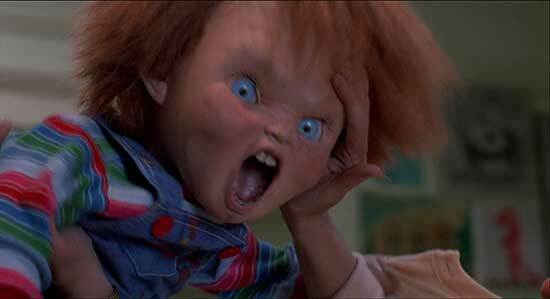 Come on, who doesn’t love Chucky? I know that I sure do, and this film is when we first met him. I remember seeing the trailer for it on TV one night and I thought that it looked like it could be scary as hell. 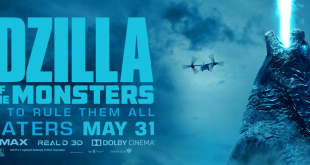 I saw it a couple of weeks after it came out in a theater with my parents and while it didn’t scare me as much as I’d hoped it would I still loved it. 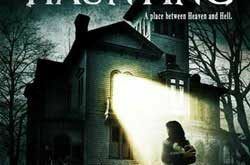 While the series got more comedic than anything thanks to entries such as Bride of Chucky and Seed of Chucky (but has thankfully gotten back to its darker, more serious roots with Curse of Chucky and Cult of Chucky in recent years) this film is a full-blown horror film and mostly lacks any comedic elements (aside from some of Chucky’s comments from time-to-time) as it is just about a killer doll going around slicing and dicing anyone that gets in his way. I’ve always been a huge fan of Child’s Play and know a lot of people that feel the same way. As a matter of fact, thanks to this movie there are a lot of people around my age that have a life-long fear of dolls because they watched it when they were younger. I watch it at least once a year (and sometimes more as I always seem to watch it when it is on cable) and think that it is not only the best horror film of 1988, but also probably the best killer doll movie of all time. As most of you know I dig this movie and am constantly praising it. I think that it is a fun, gore-filled little slasher that has some great death scenes that are as creative as they are brutal. It was released late in the 80s when the slasher flick craze was starting to die out (Ha! See what I did there?) so it wasn’t as popular as it would have been if it had been released around 1986 or so when slashers were red hot. I think that it is one of the most underrated horror movies ever and I always have a blast when I watch it (which I have done many, many times). If you ask me, I think that it was the last great slasher flick before Scream came along and killed the genre in 1996 by making fun of movies like it. It is one of my personal favorites and if more people gave it a chance I think that it would be a lot bigger than it is. Give it a shot if you haven’t seen it yet, I guarantee that you will love it. There you have it folks, my list of the Best Horror Film from each Year from the 1980s. Let me know what you think and feel free to comment to let me know if you agree or disagree as I love hearing from you. It’s a great list! ‘Sleepaway Camp’ isn’t my fav of all times (it’s ‘The Last House On The Left’) but it definitely tops the 80’s decade. I haven’t watched ‘Deadly Friend’, but I will now.